Look at procrastination. 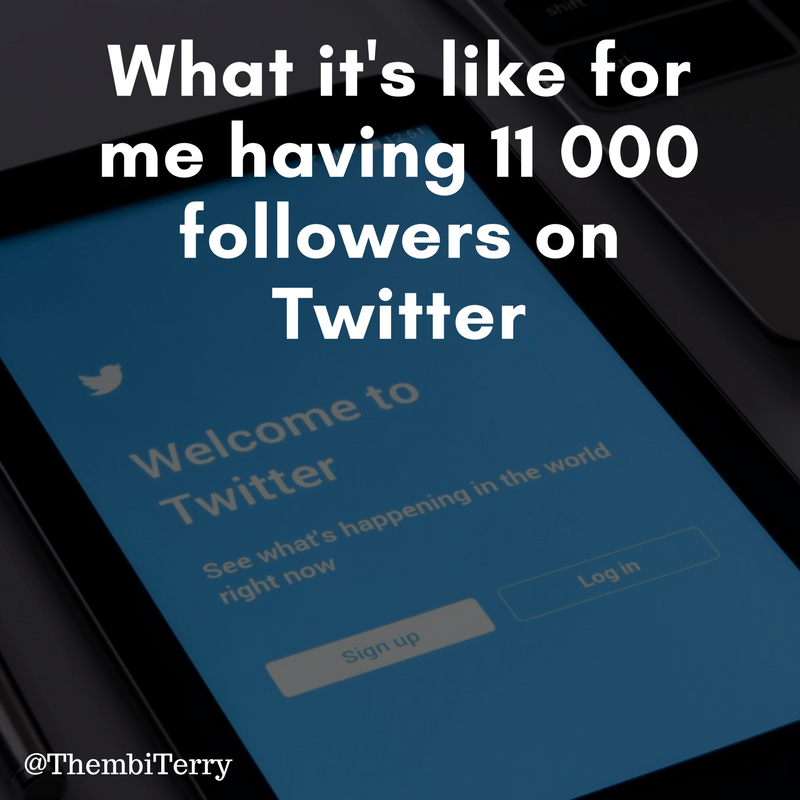 When I wanted to write this post I was sitting on 11 000 followers. Anyway, two thousand followers later and I am still in the same position that I was then. People imagine that having many followers online is a thing. Apparently, it is not. Influencer marketing is when brands pay you money to advertise their products on your social media platforms because you are popular and you have a high following. I have a high following but here is the problem with that. Ever since my ONE cyber bullying incident, I hardly ever post or tweet anything. I log in, find out what other people are up to and log out. My blog is designed to automatically publish links to my posts when I out them up. I haven’t logged in to Twitter in months but the links to my latest blog posts are on there. Gotta love technology. Why people follow me I haven’t a clue. I’m not funny. I tweet inconsistently. I have no opinion when it comes to social issues or politics. I don’t know what they expect to see when they follow me. I have just over 5000 tweets in all the 5 years that I have been on Twitter. I’m as boring as it gets. Once in a while I’ll post a tweet just to show proof of life. I am followed by more South Africans than Zimbabweans. Not really sure why that is but its what I found out when I ran statistics on my Twitter account. Apparently a Twimbo has no honour in her own country. Most of my followers were at the peak of the #FreeTwitter campaign by Econet Wireless. I was really into it back then. People loving free things the way that they do created Twitter accounts, followed us and abandoned Twitter when the campaign ended. I need to get around to removing those stale/inactive Twitter followers because they are bloating up my numbers which is detrimental to my engagement. Imagine some big company sees my numbers, hires me to tweet their sponsored content and nobody responds because most of them haven’t logged into Twitter since the day that they created the account. The numbers don’t balance and a pruning must take place. There you have it, a simple guide on how to work Twitter, go forth and may the followers be with you.